Company – DPOV a. s.
The DPOV, a.s. company is one of the most important repairers of railway rolling stock in the Czech Republic. This company does not only operate on Czech territory, but the name DPOV is known abroad as well. 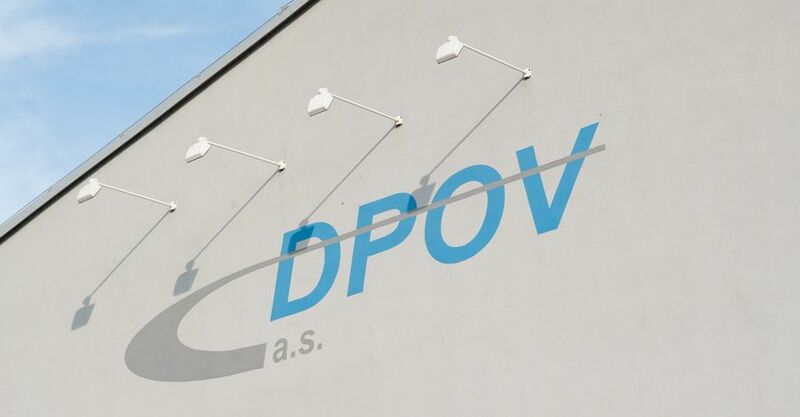 The birth of the Railway Rolling Stock Repair Works Company (DPOV, a.s.) dates back to 2007. The company was established on the basis of repair works in Přerov, Nymburk and Veselí nad Moravou, with some repair work stations in Olomouc, Valašské Meziříčí and Břeclav. So, DPOV, a.s. continues the repair work tradition of Czech Railways. We are part of the Czech Railways Group and we primarily provide repairs of railway rolling stock for the parent company Czech Railways and for all the members of the group. Our company performs all repairs and renovations of all types of electric and diesel-electric rolling stock, railway rolling units, motor coaches, coaches, special vehicles for the maintenance of the railway track, railcars, and all parts and functional units of the railway rolling stock used in the Czech Republic and abroad. The repair centre in Nymburk carries out repairs of all model ranges of dieselelectric locomotives and their main parts, dieselelectric units of the 854 model range and coaches of the 020, 021, 050 and 053 model range. Then, special railways vehicles used for track maintenance have been repaired as well. The repair centre in Přerov with the registered office of the company, has been specialised for repairs of electric locomotives for many years. In 2007 repairs of alternating current locomotives were taken up as well as electric units of the model range 471. Motor units of the 809, 810, 811 model ranges including special vehicles of the 892 type serie, the 010, 011, 012, coaches of the 015 model ranges and since the DPOV, a.s. has been established the 842 motor coaches with the coaches of the 042 model ranges and motor units composed of the coaches of the 843, 043 and 943 model ranges have been traditionally repaired in the repair centre in Veselí nad Moravou.